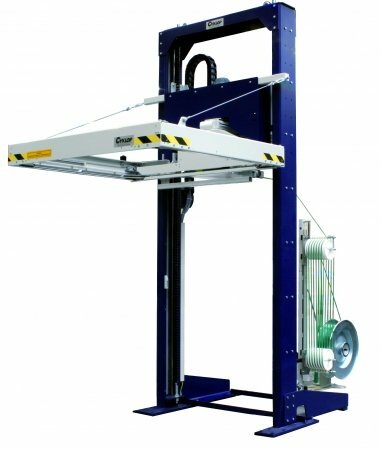 The strapping machine XF 172 M is a fully automatic strapping machine for horizontal strapping large quantities of different pallets with PP or PET strap. The strapping head and the tension compensator ensure that each strap is optimally tensioned. The strap guide makes sure that even with long lengths, the strap is always accurately positioned around the load. The height/position of the strap is easy to adjust.